Once finished with preparing your Troy rental home, you are now ready to find people to rent it. At this point, you must figure out what the rent amount will be, as well as how and where you will advertise. In deciding rental rates, you can search listings such as Craigslist to compare rental property prices. Local news sites can also help you determine rental rates through their classifieds sections. You can also contact us for a free assessment of your rental property. Take note that your initial expected rental price for your home (what it will take to pay your mortgage, etc) may not match market rental rates. You also need to determine the security deposit, and check with the state regarding security deposit maximums. It will likely take around an hour of your time to determine rental rate and deposit amount. You can now advertise your home for rent. Keep in mind that you seek to attract tenants to rent your home, so never post dim, vague, or poorly positioned pictures of your rental property. Additionally, if you take bathroom photos, put the toilet seat down and ensure that you don’t appear in the mirror. Use natural light from large windows when possible, and position yourself with your back to the window so that the natural light fills the room. In the case of bedrooms, there’s more than just a window and a closet. Display the whole bedroom. 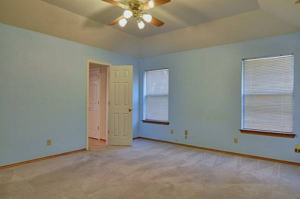 The bottom line is that your photos should make potential residents desire to see more. Once you have taken some good shots, you can use photo editing software to further enhance your pictures. You will likely spend about four hours of your time in this step. 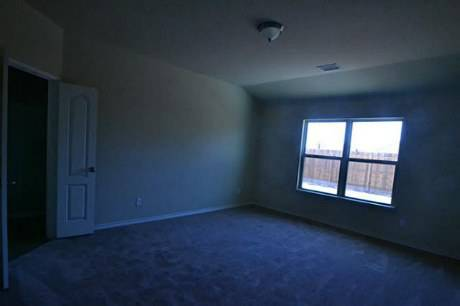 Dark pictures do not present your rental property well. Clear, well-lit pictures make your property more appealing to potential tenants. The next step is to write an advertisement to communicate with your potential renters. In advertising your home, avoid describing your desired tenant, and instead display the amenities of your rental home. Include information on utilities and appliances, discuss any restrictions, and describe neighborhood details. Craigslist is a popular choice for advertising rental properties. But if this option does not work, you can use paid advertisements online. Budget one hour of time for this step. The price of paid advertisements ranges from $35 and higher. Last but not least, put a “for rent” sign at your home, but ensure that you follow neighborhood requirements. In some common interest communities the placement and type of sign will have restrictions. For example, you may only be able to use a post sign similar to the ones realtors use. Plan for around two hours to acquire and place a “for rent” sign. Some rental signs are affordable, but a post sign can be $75 or more. Following the above steps, you may be able to get your desired rental rate in Troy, Michigan, along with a resident that considers your home not just a rental, but a place to call home and treat with respect. Would you like a free assessment of your rental property? Please contact us for more information.